Some are inclined to consider the term cosmeceutical to be a new (and controversy-laden) one, yet it was coined as early as the 1970’s by the American dermatologist, Albert Kligman. The term was useful in defining cosmetic products that go one step further by possessing recognised health-enhancing properties. Recognition of the beneficial qualities inherent in cosmeceuticals has an even more remarkable ancient history that suggests that these products have passed the test of time: from 1600 BC Egyptian medical papyrus records mention formulations comprising of natural ingredients that could help cure skin diseases, while medieval Arab and European physicians later pursued the same study. Pharmaceuticals include all products relating to medicinal drugs and their preparation, use or sale. The salient point concerning cosmeceuticals is that products which can have an advantageous effect on the skin are available in order to aid sufferers of skin malfunctions without the added and ongoing restriction of medical prescriptions. These require repeated consultation costs as well as constant renewal charges. Yet, inadequately informed self-diagnosis (especially via notorious Dr Google) can lead to far more harm than good. The sensible answer is simple: patients should consult a dermatologist concerning a particular skin ailment. The consultation with an accredited specialist will include a thorough assessment of their skin type to ensure that they use the product best-suited for their skin, and will release them to the reassuring availability, effectiveness and relief of appropriate, powerful cosmeceuticals. It is the biologically active compound contained in cosmeceutical skincare products that lend them the added value of being both cosmetic and pharmaceutical in purpose. Cosmetics contain ingredients with big molecular structures that cannot penetrate the skin sufficiently to affect the required results on deeper layers; cosmeceuticals contain compounds with smaller molecular structures that reach down deep enough beyond dead skin to affect the function and structure of the living skin cells. Here, they can stimulate cells to produce the required ingredient to correct the ailment in question. For example, to produce more collagen, which helps reduce present wrinkles and prevent new ones from forming as fast. Though this list will differ from one individual to the next, according to skin type and need, any ingredient that enhances the health of skin, nails, hair and scalp is advisable – to practice prevention rather than cure curtails costs and discomfort. A beneficial skincare routine should be one that fights premature ageing and skin damage, helps improve skin tone, texture and pigmentation, and minimizes hair loss or harm caused by hairdressing chemicals or harsh weather. For South Africans, any cosmeceuticals containing effective sunscreens should top the list. Few will need persuading about guarding against skin cancer and premature ageing in a climate where the UV concentration is so fierce. Antioxidants (products containing anti-inflammatory and exfoliating effects, and vitamins B3, C and E) should also be used to protect the skin against UV radiation and pollution. 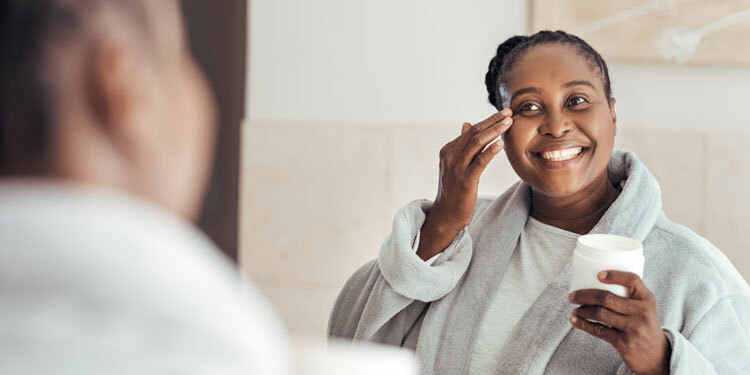 Hydrating agents (Hydroxy acids) are equally important in a damaging, dry climate; they also improve skin texture and promote the shedding of dead skin cells. For those with problematically oily skins (or acne), salicylic acid (BHA) aids fat solubility and ability to penetrate pores. Vitamin A (in natural or synthetic form) is also available in cosmeceutical products and known as Retinoids. Apart from protecting skin against free radicals, they function by activating important genes and proteins. Useful antioxidant, anti-inflammatory and skin soothing properties are present in the category known as botanicals. These contain plant extracts and will be more commonly known as green tea extract, aloe vera, witch hazel, and grape seed extract, to name but a few. Research into new active ingredients is ongoing and is sure to present additional benefits to help stimulate repair or suppress damaging processes. It’s time to put the over-reactive controversy regarding cosmeceuticals to bed. With the right professional guidance, the right (responsible) people can reap benefits from products that procure the right kind of results.